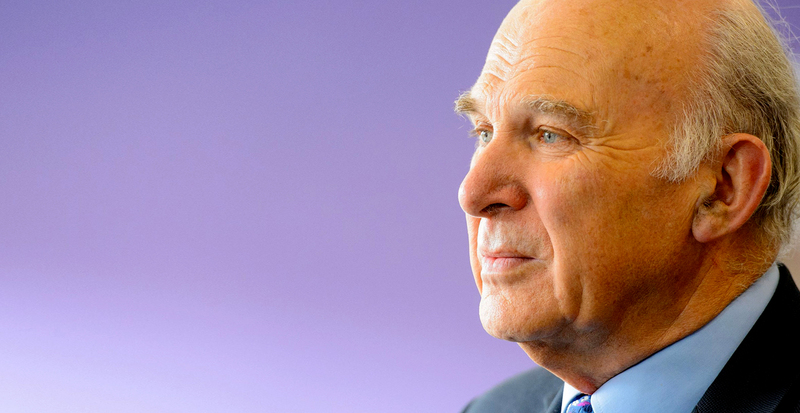 "Sir" Vince Cable in shocking Brexit Racist RANT! The clapped out politician who represents the increasingly isolated and out of touch Liberal Democrats has sparked fury after a speech he made at his party's spring party conference in Southport. The Lib Dem leader said too many older people who voted Leave longed for a world where "faces were white". The Liberal Democrats are actively campaigning for a second referendum on the final Brexit deal which goes against all of the advice given during the referendum. Cable said: "I've myself been on a journey. I confess that my own initial reaction to the referendum was to think maybe there was little choice but to pursue Brexit. I thought, you know, the public had voted to be poorer - well, that was their right.What changed my mind was the evidence that Brexit had overwhelmingly been the choice of the older generation. 75% of under 25s voted to remain. But 70% of over 65s voted for Brexit." Many have pointed out the blatant inaccuracies of his statement in that of the 17.4 million people who voted to Leave the EU it was a wide spectrum of people of all ages and races and represents highly lazy political thinking on his part. Sir Vince also took a swipe at his own party's lack of diversity it has a far worse proportion of non-white MPs and candidates than Labour or the Conservatives in the last elections, he thundered: "Looking around the auditorium, we are very, very white. We must prioritise making our party more ethnically diverse." UK Unity Opinion- Cable heads a joke of a party that is completely out of step with the every day hardworking people of the UK. His racist rant has no place in modern politics and he should be sacked NOW! Sign here if you agree! Read: "Jamie Carragher is a DISGUSTING human being!"